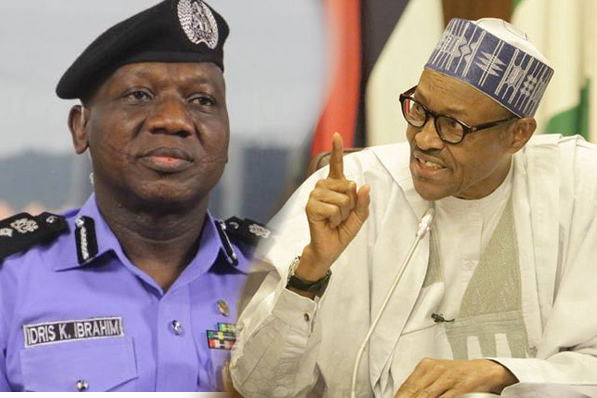 The Peoples Democratic Party has called on President Muhammadu Buhari to allow the Inspector-General of Police, Mr Ibrahim Idris, retire on January 15, the IG’s 60th birthday. The party said this was one of the ways the President could convince Nigerians and the international community about his commitment to have free, fair and acceptable elections this year. The National Publicity Secretary of the PDP, Mr Kola Ologbondiyan, who stated this while answering questions in Abuja on Wednesday, said there was no need to extend the tenure of the IG. He said the police force as an institution had many officers that were capable of leading the NPF. There are insinuations that the Presidency is plotting to extend the tenure of Idris because of his alleged closeness to Buhari and the national leadership of the All Progressives Congress. However, the PDP said that President Buhari must show evidence that he would match his words with action, just as he said in his New Year message that the coming elections would not be a do-or-die affair. Nevertheless, Ologbondiyan said that if the APC and the President were not planning anything negative, they should allow Idris to retire.